The range of Continuing Professional Development (CPD) courses available at The Profectional Company are designed to not only fit your professional education requirements, but to really develop your knowledge and practical skills, and enhance your passion for your area of specialisation. 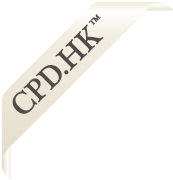 Presented by lecturers and presenters who are each leading experts in their own fields, Profectional® CLE courses are an exciting and dynamic way to develop your expertise whilst staying up to date with your obligations with your home Law Society/Bar Association during your practise in Hong Kong. Explore the list of courses and enroll today. Discount Ends Thursday, Register Now!